A collie conflict had a Houston bankruptcy attorney asking a judge to be removed from collie-hoarder Elaine Kmiec’s bankruptcy case, according to KHOU 11 News. The attorney said he had purchased a rescue collie and had made donations to the rescue group that seized his client’s collies. The Houston Collie Rescue Group seized 93 collies from Kmiec’s Tomball home last Friday after a federal judge issued an order authorizing the seizure. Additional collies seized from Kmiec’s father’s house and other locations brought the total, at press time, to 139 collies. Collies are generally long-coated dogs descended from Scottish herding animals. 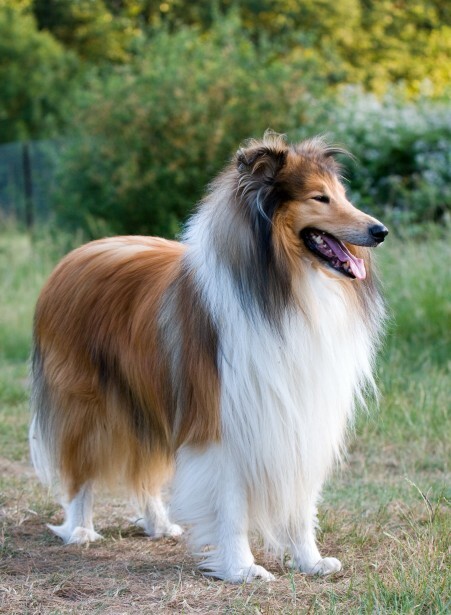 The breed became popular in America when a television show starring a collie named “Lassie” began airing in 1954. A Texas dog attorney, Zandra Anderson, said Kmiec’s collies smelled to “high heaven” and were covered in urine and feces. “Some of them have mats as big as baseballs,” the dog attorney said. Kmiec described herself as a breeder but said she did not sell the dogs. The licensed eye doctor testified in federal court that she owned 35 collies, according to court documents. Citing the discrepancy, Judge David Jones threatened to have Kmiec arrested for lying under oath. Kmiec’s dealings in collies came to the attention of Houston-area courts in 2013, when she became embroiled in a lawsuit with Kara Kaufman. Kaufman sold three collies to Kmiec, but Kmiec disguised her identity by calling herself “Sheila Kopman” in the contract with Kaufman, apparently in an effort to ensure that Kaufman did not discover that Kmiec was the subject of an ongoing animal cruelty investigation. Animal activists said Kmiec had used as many as four aliases for the purpose of hoarding collies. In an incident several years ago, Kmiec surrendered some 50 collies to authorities. When Kaufman learned Kmiec’s true identity, she sued seeking the return of the three dogs she sold Kmiec. The lawsuit was stayed for the pendency of Kmiec’s bankruptcy. After hearing the new allegations of collie hoarding, Judge Jones ordered the United States Bankruptcy Trustee overseeing Kmiec’s bankruptcy case to seize the dogs. The rescue group said the collies are being nursed back to health. A spokesperson said the group has already spent $37,000 on the rescue operation and expected to spend much more.